So here we are, my first blog post, what shall I write? I've got so many thoughts swirling around my head that I'm running the risk of dumping them all down in an incoherent burble, no use to anyone. Well I say it's my first blog post but for a year now I have been posting recipes on my cookblog called In My Caravan Kitchen, which is just a small collection of some recipes I've rustled up while away in our caravan. I intend this blog to be different because In My Caravan Kitchen is restricted to, well, my caravan kitchen, whereas this is going to be just a blog about anything and everything. Yes I grant you it will feature heavily my two favourite pastimes of eating and caravanning but I'm hoping it will expand into new ideas and ventures along the way. I always had the impression that bloggers were slaves to their laptops, spending endless nights chained to the keyboard in the quest for content. As a busy Dad of three and being self-employed to boot I have wondered why am I doing this and where will I get the time? Right now though I'm lying in my caravan bed tapping this out on my phone while the rest of the family are sound asleep. The Little Larrys will be awake soon, bursting into life for the morning game of pounce on Daddy so I'd better get a move on. Outside I can hear the pleasant tweet of birdsong and the only illumination is a glow around the rooflight blind. 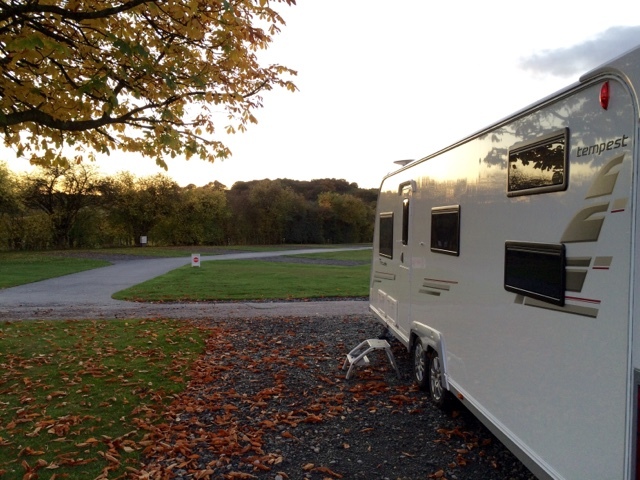 We are staying at Clent Hills Camping and Caravan Club Site in Worcestershire and so far have had a really nice time. Yes in the distance is a faint hum of a Monday morning motorway but that pleasantly reminds me I am still in bed and not there. The shower block is a bit dated and the pitches are small but the site isn't full and the setting is so lovely it more than makes up for it. The wardens have been very cheerful and helpful and the site is nicely maintained, as we've come to expect of any club site. We have had a couple of nice meals, which I will post links to below, so all that's left to do is go exploring the area, starting today with a trip up to Dudley for the Black Country Living Museum. And that's my first post done. Not a laptop in sight nor was any time wasted. If this is blogging then it's not going to be too bad at all. Ecocamel - to buy or not to buy?